Life is full of unexpected events, ones that are positive and others that are heartbreaking. It is how we choose to move forward from such experiences that defines us. 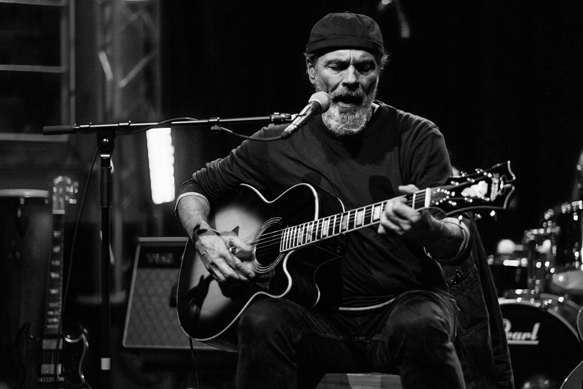 For Brooklyn, New York native Bruce Sudano, comfort and hope has always been within music. Realizing so from a early age, Sudano would go on to an impressive professional career that would see him work with everyone from Michael Jackson, to Dolly Parton, to Queen of Disco legend, his late wife, Donna Summer. 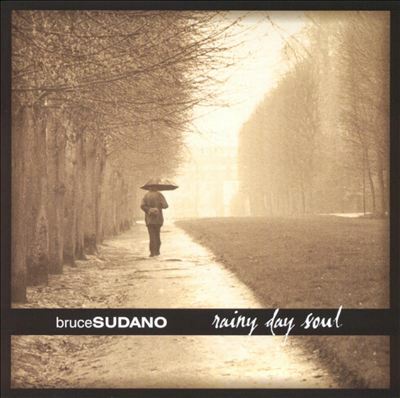 Through all his years in music, Sudano only released two solo records, 1981’s The Fugitive Kind and 2004’s Rainy Day Soul. Devoting his life to his family, Sudano once more found light in darkness following the passing of his beloved wife in 2012 when releasing With Angels on Carousels in 2014. 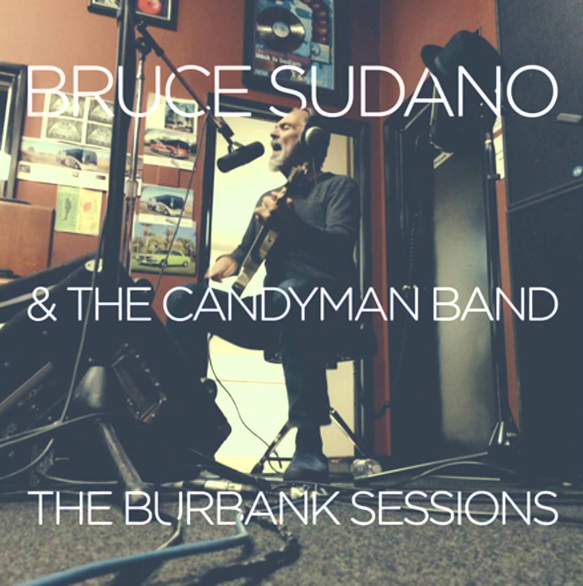 Now in 2016, Sudano has fully embraced a solo career as he continues to write and record music, including his 2015 effort, The Burbank Sessions. Recently we caught up with the insightful musician to talk life experience, the power of music, touring, and much more. CrypticRock.com – You have been involved in music as a performer, songwriter, and a producer for almost five decades now. You have worked with everyone from Tommy James to Michael Jackson, Dolly Parton, of course your late wife Donna Summer, and so many more. First, tell us, what has this amazing musical journey been like for you? Bruce Sudano – It’s like a very nice, exciting roller coaster ride. It’s a journey that picks you up and takes you down and takes you round and round, but if you are prepared and you fasten your seat belt, and you like roller coasters, it’s not a bad deal. CrypticRock.com – You have been involved in music since a very young age. When you were a kid, did you know at that young age that music was something that you wanted to pursue professionally? 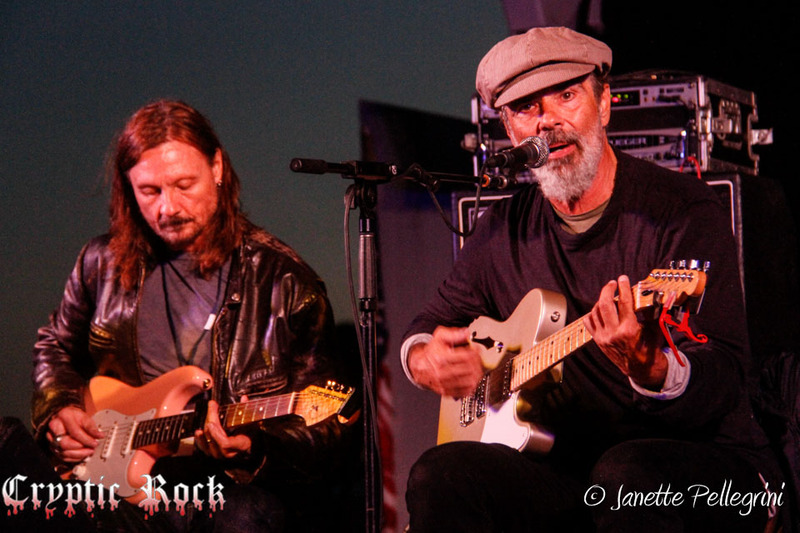 Bruce Sudano – I was about twelve years old when I played my first gig. That was when I kind of realized that this was what I wanted to do. Before that, I was a little bit unsure. I remember being even younger, like eight years old, and going to all these great Rock-n-Roll shows at the Brooklyn Paramount and the Brooklyn Fox. I saw all these acts on stage and I was really intrigued. I don’t know if at that point I saw myself being on the stage, but once I started playing some gigs in the neighborhood, I found that I really liked it. At that point, I kind of knew that’s what I was called to do. CrypticRock.com – Wow, that is still very young to figure that out. It is really cool that you did figure it out that young, and it obviously has worked out very well. Bruce Sudano – Yeah, I always felt like it was a blessing because obviously not everybody has that advantage. Some people go through long periods of their lives, or sometimes their whole lives, without feeling like they have a place, a purpose, and a point of belonging. I never had that problem. I kind of said, “Well, you know, this is what I wanted to do.” It was really a matter of action and love, it was never really a job. It was just something that I naturally was driven to pursue. That doesn’t mean that there weren’t moments of anguish, or confusion, or depression, or second-guessing along the way. All those things do happen. Overall, I kind of always felt very comfortable. It was kind of like a vocation, it was a calling, and I knew very early that I had that calling. It is a blessing for sure. CrypticRock.com – Absolutely. You have worked on both sides of the scenes, as well as written and recorded your own music. How would you compare performing your own music as opposed to being behind the scenes writing and recording music for others? 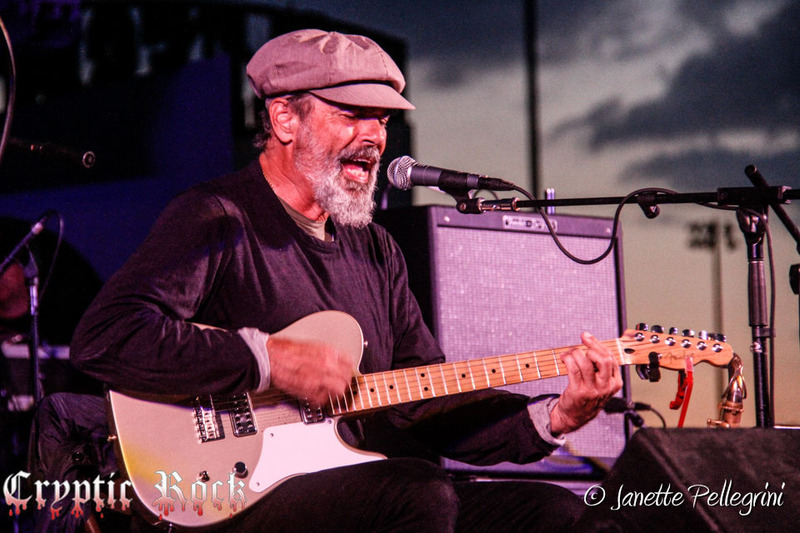 Bruce Sudano – Honestly, I find a greater sense of fulfillment performing my own songs. For me, that is the highest place that I could be. At this point in my life, I feel like I have songs that are relevant to people my age; I am saying things that are meaningful in a life perspective. It gives me a great sense of purpose and satisfaction to do that. Before that, when I was younger, and when I was doing those other things, of course those things were exciting and very challenging, as well as very rewarding. It’s a very rewarding feeling to have someone sing one of your songs, don’t get me wrong. I get a greater satisfaction at this point of being able to perform them myself, that’s not to say that I wouldn’t be thrilled if someone else would record one now as well. At this point, I’m not really in that game, I’m playing a different game right now. CrypticRock.com – Understood completely. There is definitely a sense of gratification performing the music that you created yourself because it comes from your heart. You wrote it, there is something really special about being able to perform it yourself. Through the years, you’ve released a series of solo records and you released one in 2014, With Angels on a Carousel, and then again in 2015 with The Burbank Sessions. Tell us, what was the writing and recording process behind The Burbank Sessions? 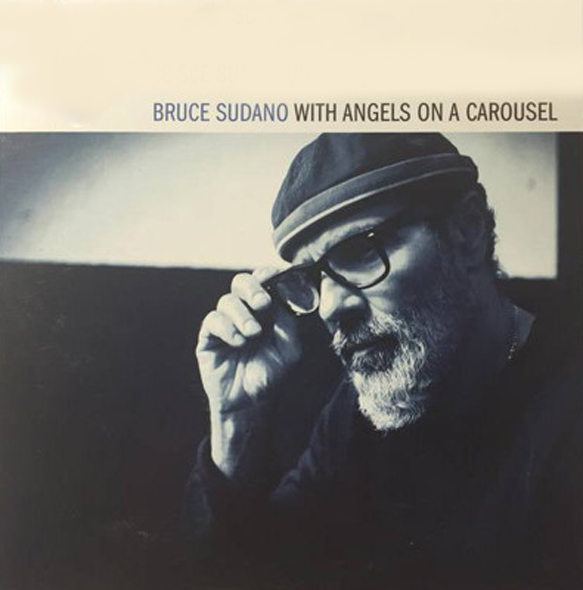 Bruce Sudano – This album actually came together relatively quickly, and as you said, I had one in 2014 and again in 2015. I think the reason for that, when I released the record With Angels on a Carousel in 2014, I immediately put the band together and started playing shows. I basically spent that year performing songs from With Angels on a Carousel and doing shows opening for The Zombies and things like that. As the time was going on, as I kept doing shows, I kept writing new material, and incorporating it into the set. Once I was finished at the end that year with touring, I had all these new songs that were fresh for the band because they had been playing them. It became a very simple process of going to our rehearsal studio with the band and setting up some mics and baffles to do each song a couple of times, choosing the best takes, mixing it, and having the record done. It came together rather quickly. Where, in the past, it could sometimes take a couple of years to write songs for a record and then another amount of time to produce the record. This wasn’t that case, I was actually happy. I think in this new culture, it’s important to have a quick output. It seems like people need to be reminded constantly that you exist in order to keep building on what you are doing to maintain some kind of viable presence as a songwriter and as an artist. At the same time, I don’t want to dilute the quality of what I put out there, so it’s an interesting process. Recently, one Saturday I woke up, I was sitting in bed, picked up my guitar, and out of nowhere wrote this song. The next day I put together a little video and posted it on YouTube. That’s not to say that I would do that with every song that I write. I think that If I’m really excited about a song, I will put it out there right away these days. There is another song that I recently wrote, it’s basically the same story. I continue to do live shows and I continue to write. It’s always more exciting for me put a new song in the set than perform an old song. For some reason, when you are a songwriter, you are always most excited about the newer song that you have. There’s this other song that I have been performing live in shows that is usually called “Common Sense.” Basically, I did the same thing with that where I performed it live at a show, somebody filmed a show, and we posted that song live on YouTube. CrypticRock.com – That is a great way to get music out there. The last two records you did consecutively in 2014 and 2015, they were both very well-composed, musically and lyrically. There seems to be a high level of maturity, a level of insight involved. There also seems to be a lot of emotion, obviously feelings of pain, feelings of hope, and positivity. Were these helping as a healing process after you tragically lost your wife? Were they kind of a healing process for you? 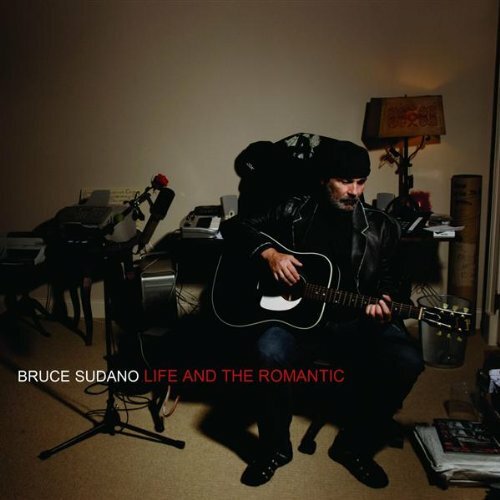 Bruce Sudano – Without a doubt. It wasn’t even a conscious thing, it was just a natural thing for me to do. My solace, comfort, and escape from reality on every level, it’s always been the music. It was just a natural door for me to walk through. With Angels on a Carousel, those songs were written during the year and a half that my wife was actually sick. 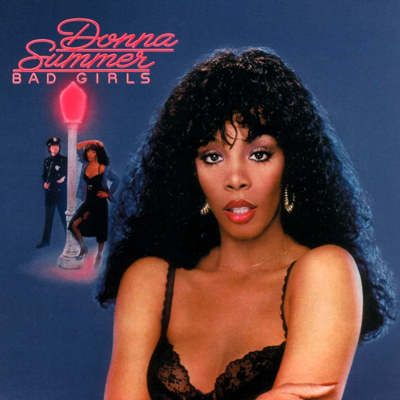 As I was playing with those things that I was working on, the main point Donna said to me was, “Bruce, you cannot write a sad, depressing record. You have to give people hope.” It was really important for me to dig deep enough down into the cloud of that experience and find some light. I think I was able to do that, so the record itself, I don’t believe is a depressing record, but yes it’s insightful. That is because when you are going through that kind of experience, it’s a very raw and open experience. The fact that I was able to tap into it while I was able to actually be in the middle of it, I think, made it that much more honest and on point. However, The Burbank Sessions record deals more with the aftermath, with experiencing this kind of thing and asking questions about how you go on and can you love again? What is life now? How do you recover? What are you supposed to do? I just basically got on the other side of it, I had been married for almost thirty-two years, I had been with my wife for thirty-five years. My kids were great, they were all surrounding me and embracing me. I quickly realized that I couldn’t really lean on them, they had their own lives. I had to figure out who I was on my own at this point in my life. Fortunately, I had the music to lean on. So yeah, there you go. I basically looked at myself as a new artist at this point in my life. I did one solo album in 1980, which was the year that I got married. 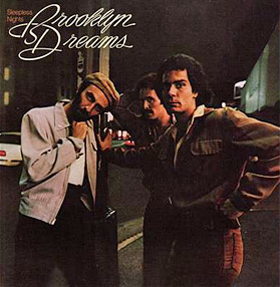 That was after I did four records with Brooklyn Dreams. Once I got married, I quickly realized that in order to maintain my family and my relationship, I really wouldn’t be able to be the solo guy and have my wife have the career that she was having. I very willingly put my own solo singer/songwriter career aside, but continued writing and was involved touring with Donna and all that. When I came out on the other side of this, I just kind of like picked up that ball and started rolling with it again. I have to say it’s been very exciting and very encouraging for me. I continue to evolve, I continue to find who that guy is. I have something to say at this point and how I present it on stage, what is my stage persona, how do you make an entertaining show, and all these things that I have done in other acts, but never really had done for myself. So I’m having a good time. CrypticRock.com – It is very interesting to see you doing this now, it is really very exciting. As you had mentioned about positivity and hope, that is clearly evident in songs like “Beautiful Life,” which really is reflective of that type of ideology of you have one life to live and enjoy it. That is what it is all about. Bruce Sudano – Exactly, there you go, that’s it. That becomes completely evident whenever you go through some kind of traumatic experience, you realize this is what you got. Don’t sweat the small stuff. CrypticRock.com – Extremely true. Talking about the track “Common Sense,” it is really a good track. This song is really telling because it is about society and we have really lost that sense of logic in society. What was the inspiration behind the song? CrypticRock.com – Exactly, it is completely true. On both sides of the aisle, politically, there just seems to be extremes and no compromise, from either side. It just seems like it is either one way or no way. That is absurd, there has to be a middle ground as you said. There has to be some compromise, otherwise nothing will ever get accomplished in life, in general. Bruce Sudano – Exactly, you can’t demonize people. That is a very bad thing to do, and there is so much of that going on. Whether you are demonizing somebody in the other party, or somebody in another religion, or someone in another country. It is a very bad thing to demonize people. I’ve traveled the world and met many, many people, and people are human, people love their kids, people love their families. That’s not to say that there was an evil in the world, I understand that there is, but for the most part, people are very human. These people that get demonized on all sides, if you are in a room and you are sitting down with this person and having a conversation, very likely you are going to like this person. A person you didn’t know that you were demonizing because of whatever ideology or whatever religious position is being flushed at you. CrypticRock.com – It is very true, you are absolutely right. That is something that you learn from traveling and meeting different types of people. A lot of times, speaking of American culture, we have an isolationist attitude because many people have not traveled abroad and met people from other cultures. There is no excuse for people being like that, but that is why perhaps certain people think the way they do about certain things. Bruce Sudano – Without a doubt, people are in their bubble. Those bubbles exist all over the world and they exist in America; from the South, to the East Coast, to the West Coast. There is all different kinds of bubbles and all different kinds of ideologies. We need to be a little bit more open-minded and a little more open-hearted. People are always threatened by what they don’t know, what they don’t understand. It’s a natural human instinct, but it’s one that, intellectually, you need to override. CrypticRock.com – Agreed. Now, back to the music, will there be some live performances coming up in 2016? 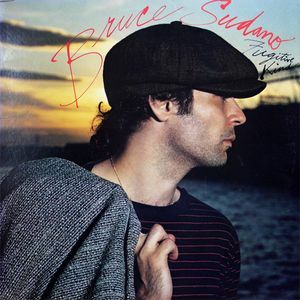 Bruce Sudano – Most definitely, it’s going to start when I will be performing at South by Southwest in Austin, Texas. From there, we are going to go on and do a bunch of dates and work our way up the East Coast. Then, somewhere in May, I’m doing a few more dates with The Zombies. Then I am going to work my way out West and do a lot of West Coast shows. It looks to be a busy year and I’m excited to do it. This past Fall, I did a run of shows in Europe opening for a Rock band called Hollis Brown. This coming Fall, I plan to go back to Europe and hit back at those places that we just did last year. I am keeping the ball going and keeping the building process going. CrypticRock.com – It sounds like you are going to have a busy year. It will be great to see you out on the road with The Zombies again. I had one last question for you. My last question is pertaining to films as CrypticRock.com covers both music and movies, particularly Horror and Science Fiction. If you are a fan of either genre, do you have any favorites? Bruce Sudano – Horror and Science Fiction, those are probably the two areas that I am not involved in (laughs). I’m very sensitive, so from a very early age, Horror films would just sit with me, they would live inside me for too long, and I couldn’t shake them. As a writer, I tend to be a very black and white, realistic kind of writer. I tend to be drawn to real life things, even in the realm of Science Fiction, it’s a not a place that intrigues me. I greatly appreciate the ability of these writers to come up with this stuff. Would you consider J. R. R. Tolkien Science Fiction? CrypticRock.com – Science Fiction, Horror, and Fantasy based stories are not reality, so yes. Bruce Sudano – In those kinds of ways, I really appreciate what they are doing. The analogies and the allegories that are created in Science Fiction, but it’s really not a genre that I’m very familiar with at all. CrypticRock.com – That is alright, the genre is not for everyone. Do you have a particular film genre that you do enjoy? Bruce Sudano – I basically like small, foreign films that are interpersonal, that’s the kind of thing that I like. Even with books, I tend to read biographies more than I like novels, but I am trying to expand. Maybe I will take this a cue. Horror, I don’t know, Science Fiction I can definitely do exploration. I will take our conversation as a foundational point in beginning to explore a little bit into Science Fiction. A year from now, let’s have another conversation and see how well I’m doing.